Jamaica's south coast: It is everything! Ronnie and I landed in Jamaica in mid-December to work on a few projects at Point of View Villa and Spa—upgrade the Oasis Suite, train staff on what it means to be a worker-owned cooperative, visit a local community-owned farm and tour the Content Basic School, a small pre-school in our community serving 28 children between ages three and six. After 10 days of back-to-back projects and two days before Christmas, we took off for a few days of respite, driving south from Montego Bay right through the heart of Jamaica. We passed through small towns buzzing with pre-Christmas market energy and drove through lush mountains that eventually delivered us to the south coast’s deep blue waters. We made our way through the town of Black River made famous by its namesake and over its landmark bridge until we were face to face with a smoky-colored mountain range and its giant white windmills. Just a couple of hours after leaving Montego Bay, we were in sleepy Treasure Beach. Admittedly, we were nervous about this trip. We had visited Jamaica’s eastern shore a few months ago, and like Treasure Beach it is known for its laid back vibe. Honestly, we didn’t have a great time there. We chalk it up to a bad lodging choice. However, when we walked onto the pool deck of 77 West, a new boutique offering set on a cliff in Treasure Beach and overlooking the ocean below, we knew we had found our vibe—the right kind of cool to balance the south coast’s rustic sensibilities. “Can you believe this place?” is the question that lived in me during our stay. The private one-bedroom cottages exude a clean, modern, no-frills aesthetic. We enjoyed chatting with owners Carl and Annabelle, the visionaries who literally built 77 West up out of the sand. The food was delightful with a twist on Jamaican favorites, and the views were glorious—wide-open ocean accessible by 81 steps (yes, we counted!) down to the sandy beach below. 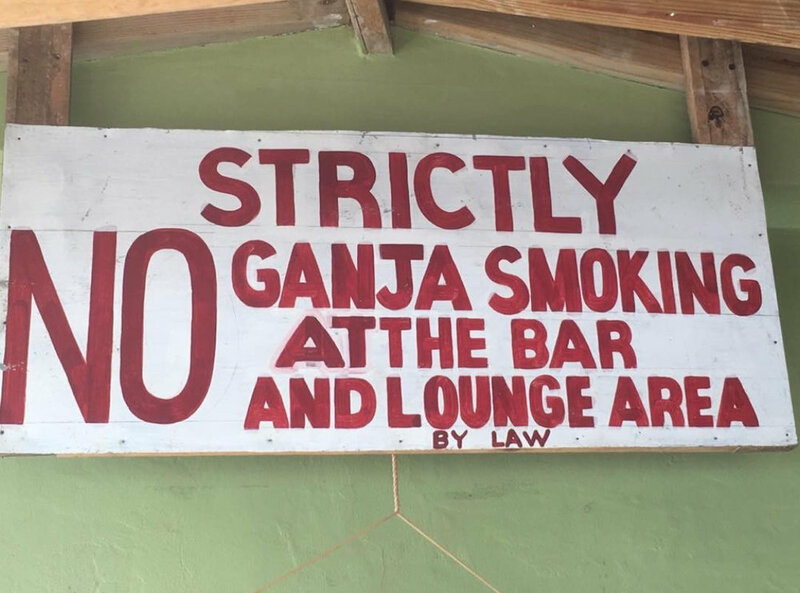 Just a few minutes down the road at Frenchman’s Cove Beach, we ate oversized red snappers fried to perfection where a sign warned against smoking Ganga, even as we smelled faint whiffs of it in the air. We also spent some time at Jack Sprat, clearly the town meeting place complete with beach, lifeguard, good food and a gift shop for purchasing mosquito repellant. Don’t forget yours like we did. After two days of frolicking on the sand, napping to the sound of the waves crashing into the rocks on the shore, watching seagulls sunbathe and pelicans dive for fish, it was time to leave. We had to get back to Montego Bay to meet, for the first time in person, guests staying at Point of View. Fortunately our journey to the south coast is not over. A second visit is already in the works this summer. Ask us about ways to blend the south coast with your Montego Bay vacation at Point of View Villa and Spa. Call us at (202) 854-8162 or email us at stay@pointofviewjamaica.com.